This photo of my grandmother and mother was taken on the Dean family farm (Deanholm Farm) in North Hately, Quebec. The farm was founded on land purchased by my 2nd great-grandfather, John Dean, on May 1, 1868 and is still in the family today. My grandmother, Marjorie Elizabeth Dean Smith was born on the farm in 1904. During WWII my mother and grandmother spent a great deal of time on the farm as my grandfather, some of his family and my grandmother's brother were all overseas. Then, as now, the farm was primarily a dairy farm, but also had a sugar bush. For those of you unfamiliar with maple syrup production, a sugar bush is a stand of maple trees (usually sugar maple or black maple) which produce the sap used to make maple syrup. 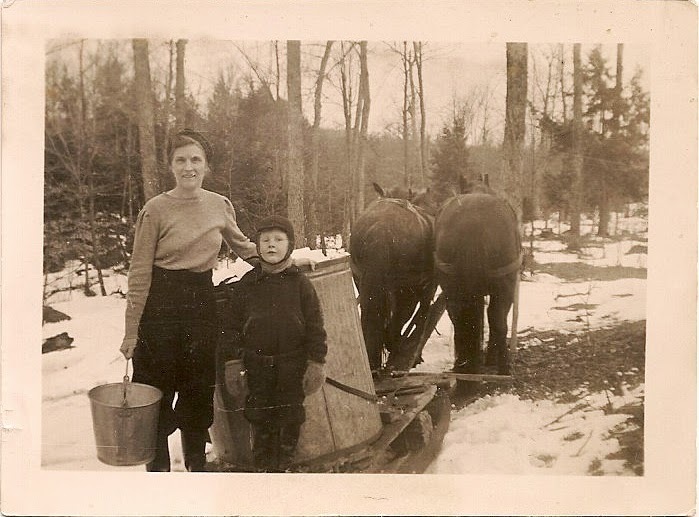 Trees are tapped in early spring and buckets, like the one my grandmother is holding above, are hung to collect the sap (modern methods by some syrup farmers use a network of pipelines and gravity for collection). At Deanholm farm the sap is collected every day or couple of days depending on how fast it is running. The buckets are emptied into the vat you see above on a sled with runners for snow and wheels when there was none. Today the wagon is pulled by a tractor, then it was pulled by two horses who were always named Prince and King. The collected sap is then taken to the Sugar Shack, where the vat is emptied into a huge stove to be boiled down into syrup, filtered, graded and canned. The whole process from tapping to canning is known as sugaring. 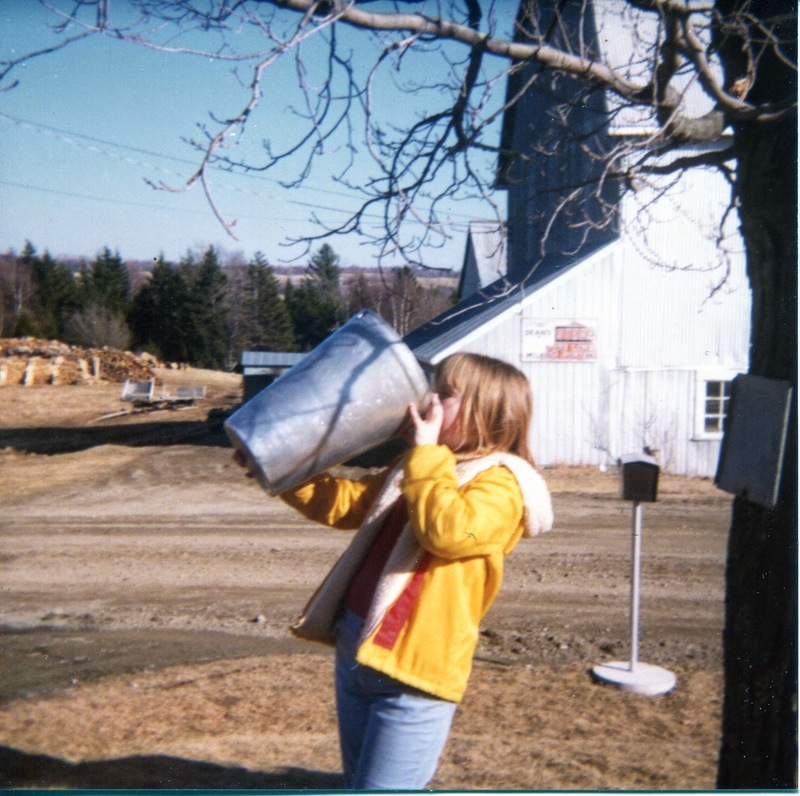 1980 would have been roughly the last time I was at the farm during sugaring season. 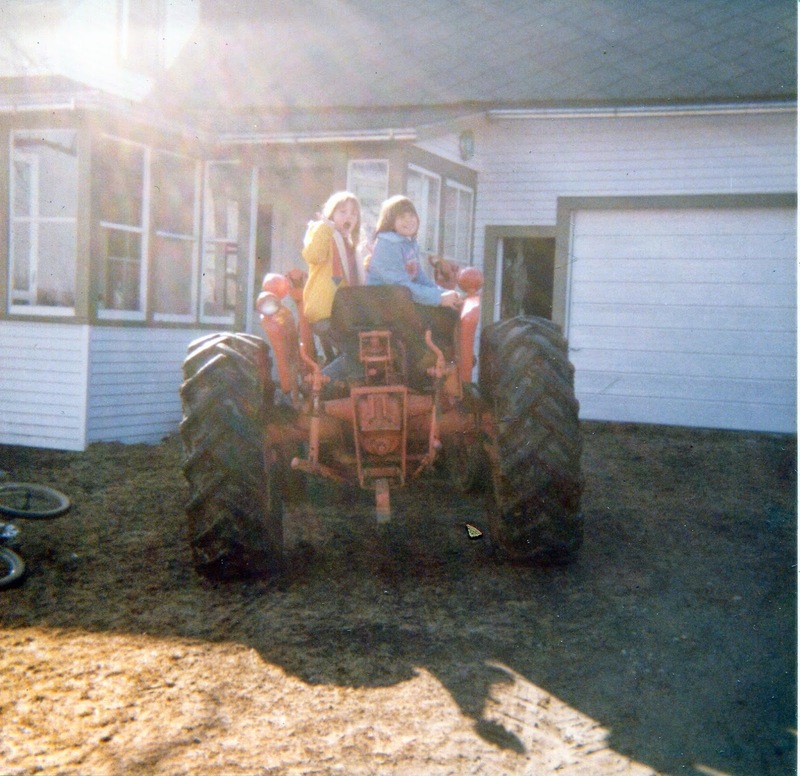 The first photo below is me hamming it up for the camera, the second is me and a cousin on what was probably the tractor that pulled us around that day collecting sap. Thank you for stopping by. 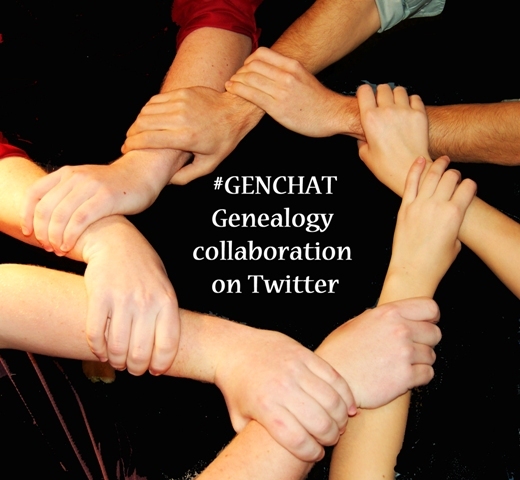 Don't forget to visit the other Sepia Saturday participants. That first picture makes me go "Brrrr." It looks like sugaring didn't wait on the weather. I think it's amazing that the farm has been in the family for 150 years. An evocative post with striking photos, especially the first one in the snow. Like Wendy I was struck by the fact that the farm has been in the family for so long - what a history on its buildings and land. Wonderful photos. Is the farm still in the family? I've never heard the term sugar bush. My grandfather always called his horse(s) Blackie. Hello Anne, I’m one of those people who had absolutely no idea about maple syrup production, but I do know thanks to you. Love the photos. Great photos of a working maple syrup process...thanks and I'm glad you kept the pictures. I love real maple syrup, and even paying such prices these days, knowing how it's made makes it worth it. It's great to have a photo of your grandmother and mother during sugaring. I believe this is the first time I've seen a photo of horses pulling a work sled. It's very low to the ground. We lived in an area where maple syrup was made. We always looked forward to sugar snow, knowing that fresh maple syrup wouldn't be too far behind. It is great to hear that the property remains in the family too! A whole foreign world to me. Thanks for sharing. The first photo is interesting. Your grandmother doesn't look cold at all!! No,she doesn't, although its possible that it was a warmish day which it would need to be for the sap to be running. She was made of strong stuff, which I don't think I fully appreciated when she was alive. That's a long time for a farm to remain in one family :-) I had my first taste of maple syrup when I visited Canada in 1979 and I couldn't bring enough of it home. I still can't understand putting it on bacon though! Sounds like it is very labour intensive work. Mmm! REAL maple syrup - there's nothing like it. Mrs. Butterworth's is pretty good, but can't hold a candle to the real thing. Luckily we have some friends in Wisconsin who collect the sap & make the syrup . . . and share!!! A beautiful photo! I've been to upstate New York and seen the modern sugar shacks and sampled the syrup, so it's fun to see the older traditions.